John Legend has now reached EGOT status – winning an Emmy, Grammy, Oscar, and a Tony – making him the first black man to have done so. 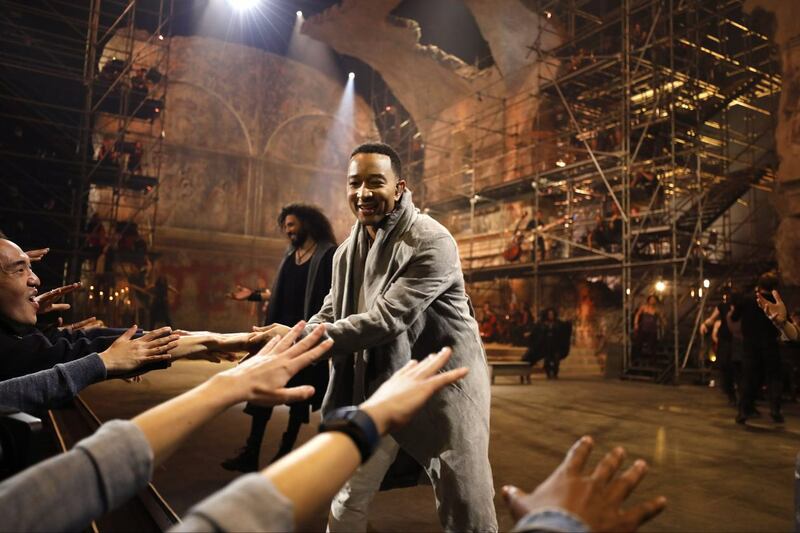 The set was complete after Sunday night, when he won an Emmy for Jesus Christ Superstar. He is the joint youngest winner to receive the status of EGOT, together with the American musical songwriter, Robert Lopez. He has won 10 Grammys, one Oscar for his original song in Selma, and one Tony for co-producing the play Jitney. Sirs Andrew Lloyd Webber and Tim Rice join Legend and 12 other EGOT recipients, including Whoopi Goldberg, Mel Brooks, and Audrey Hepburn.